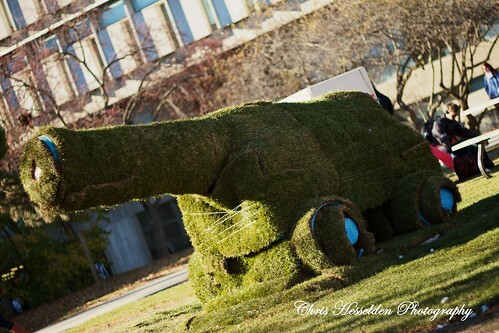 The cannon at the University of Guelph is considered one of Guelph's highly visible landmarks. 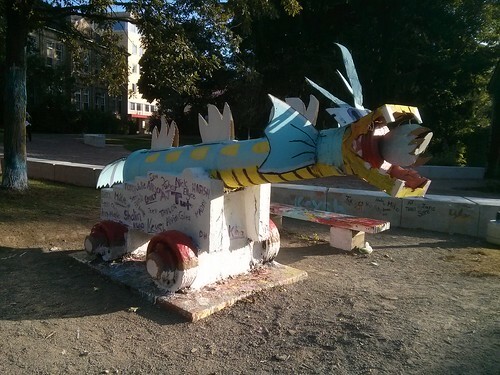 Located in Branion Plaza Old Jeremiah receives regular makeovers from students. 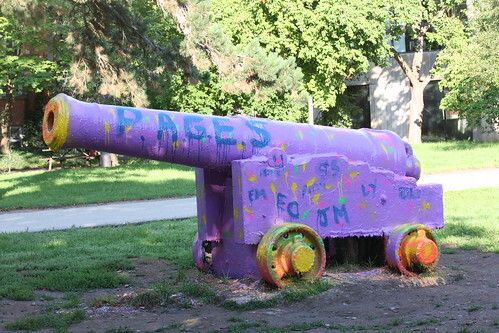 Painting the cannon, like dressing the begging bear, is a campus tradition. 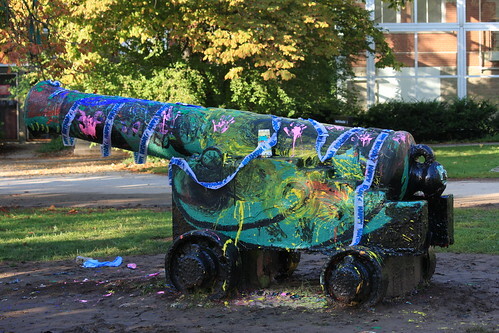 In 2010, the cannon got a makeunder - stripped down to bare metal and concrete. 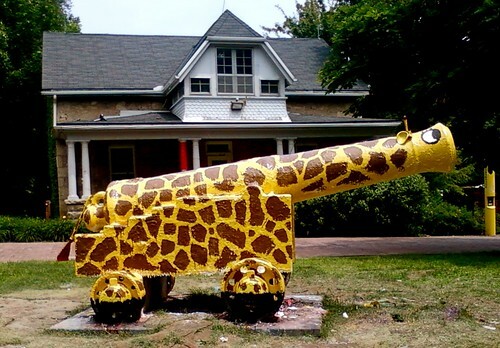 There were so many layers of paint! I suspect it didn't remain bare for long though. Want to see more makeovers? Check out the Painting Old Jeremiah board on Pinterest.